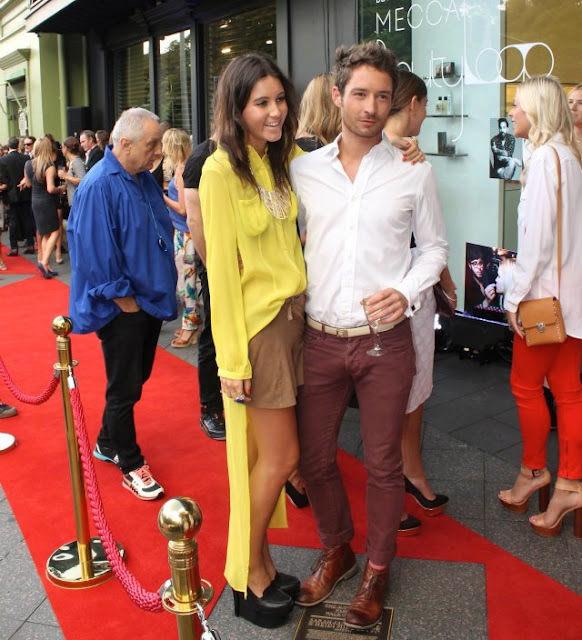 Last night, was a celebration of Australian designers at the 'Walk of Style' event in Paddington. 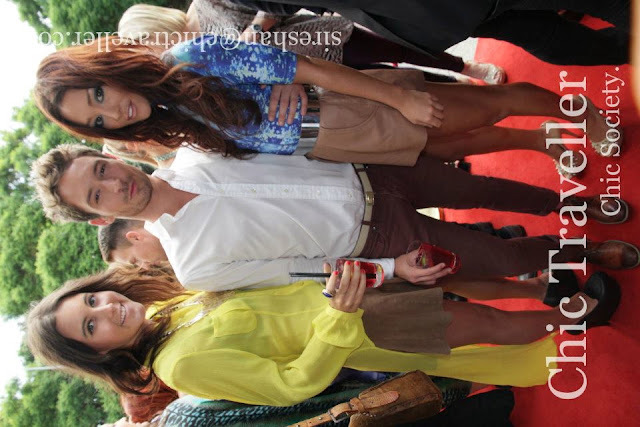 A red carpet was laid out along the stone side walk, whilst guests sipped on champagne and raspberry cocktails, in honour of some of our most talented and successful fashion identities. 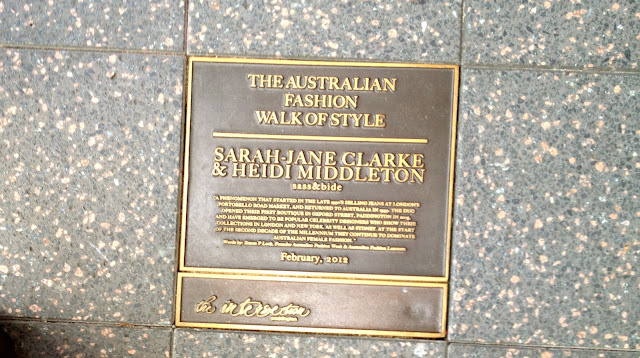 5 plaques were revealed; featuring the names of Collette Dinnigan, R.M Williams, the late Mark Keighery of Marcs, Akira Isogawa and Heidi Middleton and Sarah- Jane Clarke from Sass and Bide. The bronze plaques will be a permanent feature in the Eastern Suburb shopping precinct. I am in love with the shirt you are rocking. Amazing.